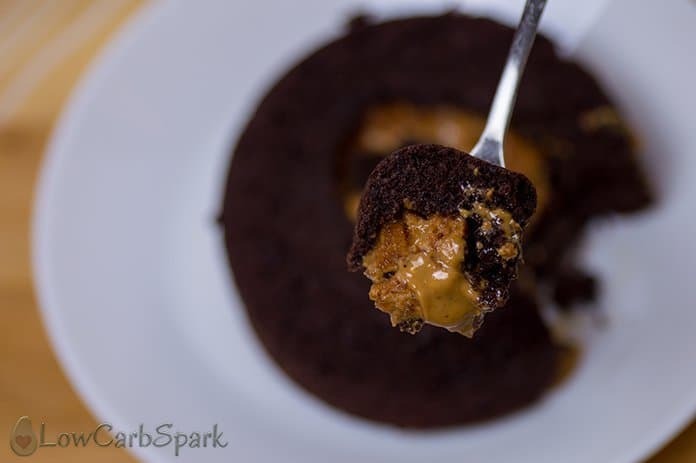 This Keto Chocolate Peanut Butter Lava Cake resembles Reese’s cup but is sugar-free, dairy-free and has lots of healthy fats. 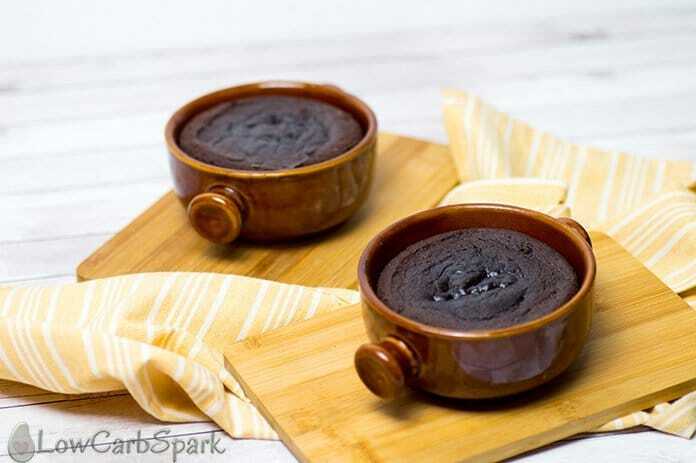 If you are looking for a moist, fudgy and rich warm keto dessert with a creamy and melty peanut butter in the middle, you came to the right place. It takes less than seven minutes to prepare and it’s insanely delicious. I’m always looking for super easy and decadent keto desserts to have when I am craving sweets or just to enjoy it on a cold Sunday morning. When I’m sharing a recipe with you on this blog I have to make sure it is super easy to make and with ingredients that can be found at any food store. Nothing too complicated, but the result is fantastic. To be honest I only ate lava cake at restaurants and it comes with vanilla ice-cream on top. 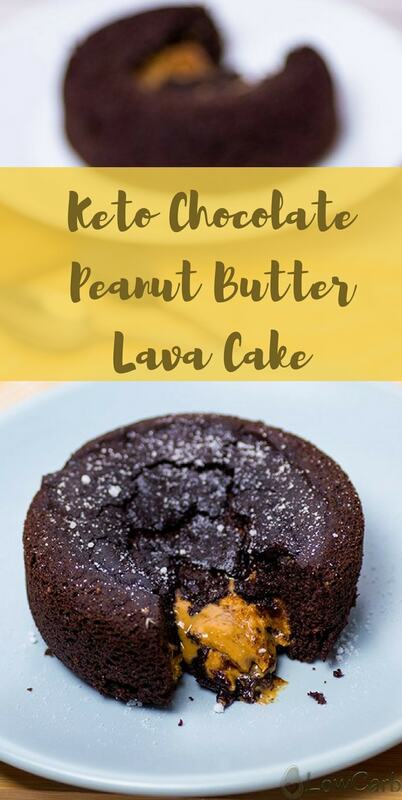 I had the classic chocolaty one and vanilla lava cake but never had classic peanut butter chocolate lava cake before keto. Chocolate and peanut butter are just meant for each other. 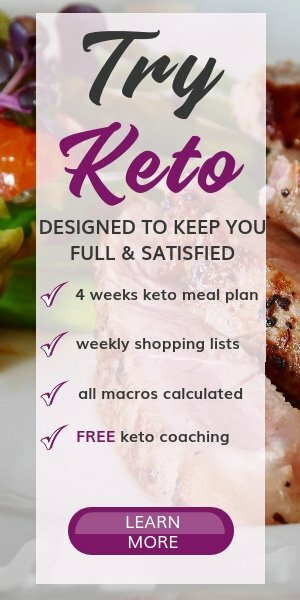 You just can’t go wrong with this Keto recipe. I’m so enthusiast about sharing the recipe with you. The serving size is huge and satisfying. It will keep you full for such a long time. 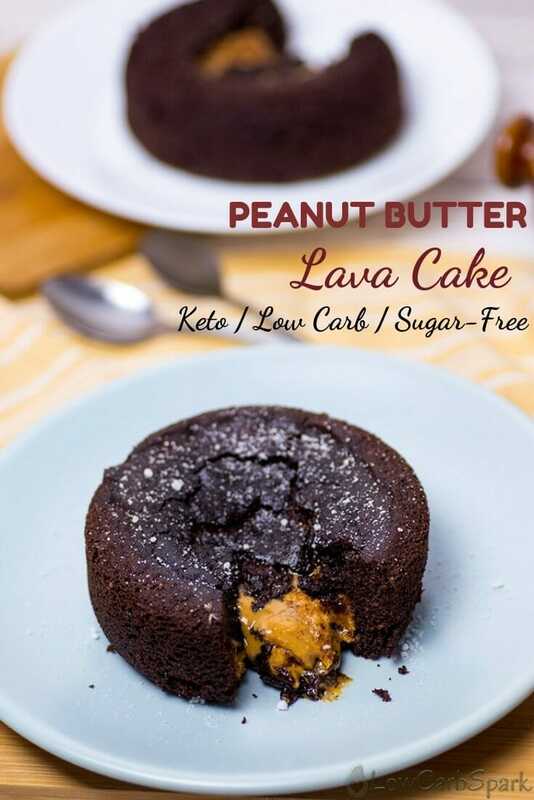 If you are not a peanut butter fan you can try my simple keto lava cake that’s also insanely delicious and easy to make. The directions are pretty simple to follow. Basically, all you have to do is to mix all the ingredients until you get a nice batter. Add a heaping tablespoon of peanut butter on top and bake until the edges are firm and the top is slightly soft. If you are making this recipe let me know in the comments below or tag me on Instagram #LowCarbSpark. 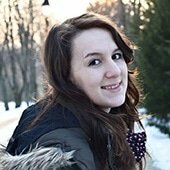 I would love to see your keto creations. A melty and creamy peanut butter inside a rich and fluffy sugar-free keto chocolate cake. 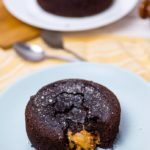 If you love chocolate and are on a ketogenic diet, you will be amazed by this keto chocolate peanut butter lava cake that is super low in carbs and sugar-free. The perfect cure for a sweet tooth. In a bowl mix the coconut oil and unsweetened dark chocolate. Microwave on high for 30-60 seconds or until melted. With a spoon whisk until the chocolate is also melted. First combine the dry ingredients: the coconut flour, cocoa powder, the baking powder and the sweetener. Whisk well the wet ingredients: the eggs, coconut milk, stevia drops. Preheat your oven to 350 F and grease with coconut oil two 6” ramekins. In a bowl mix together the melted coconut oil and chocolate, the wet and the dry ingredients until the batter looks smooth. Divide the chocolate batter between two custard cups. Top with peanut butter and slightly press it down into the batter. Let them bake for about 13-15 minutes until the sides are firm and the top is still slightly soft. After one minute the cakes should release easily from the ramekin. To make the peanut butter sweeter mix in 3-4 stevia drops. (optional).